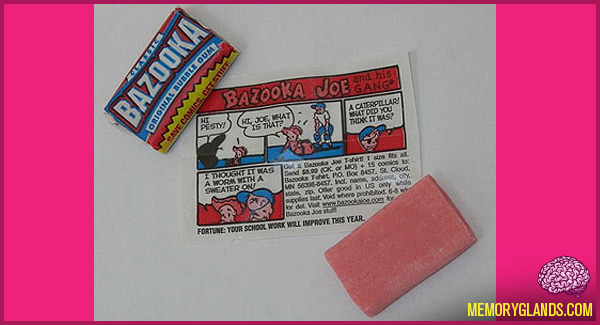 Bazooka Joe is a comic strip character, featured on small comics included inside individually-wrapped pieces of Bazooka bubblegum. He wears a black eyepatch, lending him a distinctive appearance. He is one of the more recognizable American advertising characters of the 20th century, due to worldwide distribution, and one of the few identifiable ones associated with a candy.